Welcome to my ultimate Bath travel guide. I pent three weeks housesitting there a few years ago, so I like to think I know Bath pretty well. I’ve also returned to the city a lot and always discover something new. So, I’ve put together this post to help you get the most out of a weekend in Bath! Bath is one of the most beautiful cities in England; a picturesque cluster of Georgian buildings nestled between rolling hills. All of it prettily matching in that iconic, honey-coloured Bath stone. It’s so lovely, in fact, that the National Trust bought the nearest hill to stop spreading development from changing the iconic Bath skyline! Historically, Bath has always been a place of indulgence and wellness. So it’s the PERFECT English city for a relaxing weekend away. Bath was founded by the Ancient Romans because of the natural thermal springs. And ever since, people have been visiting the city to bathe in the mineral rich waters and generally relax. As a result, this is a city with a far slower pace of life than most of the UK. Between that relaxed atmosphere, the incredible history, and the UK’s only natural hot springs…. Bath really is the perfect place to escape. Here’s my Bath travel guide to show you all the best things to do in the city. Just an hour and a half from London by train, and easily accessible from the rest of the country thanks to the well-connected Temple Meads station in nearby Bristol, Bath is fantastically easy to get to. Buy train tickets in advance from a site like Train Genius or Raileasy to save money and time. The city is also served by the fantastically cheap coach service Megabus, with tickets starting at £1 if you book in advance (and only £4-£5 if you book the day before! ), so it’s easy to get to Bath on a budget, too. The city centre is relatively small, making it easy to get around on foot. And with so much to see around town it’s a great place for walking. There’s also a fabulous bike rental scheme from Next Bike, with bike stations all over the city from which you can rent a bike from just £1 (or £10 for 5 to 24 hours). Not only is the beautiful city centre perfect for a bike tour, but there are loads of great routes all over the surrounding countryside, including a cycle path all the way to Bristol along the old Bath-Bristol railway. If you prefer a less active style of site seeing, there’s the popular open-top bus tours of the city and it’s outskirts – including the Bath Skyline – from City Sightseeing, with tickets starting at £14. Or visitors can take a cruise on the picturesque Avon River, sailing past colourful barges, tranquil views of the Somerset countryside, and a huge array of wildlife including kingfishers, cormorants and falcons. Return tickets on the popular Pulteney Princess cost £8, or you can hire a canal boat for a day of private sailing. This iconic Bath site is a fascinating complex combining the brilliantly preserved Roman buildings with a thorough and interesting museum detailing the area’s history. Learn all about how the Romans worshipped, bathed and relaxed at the Baths, study their clever plumbing systems, and even try some of the healing waters for yourself (if you can stomach the taste). Want to know more about the life of those Georgians who shaped the beige-coloured Bath we still see today? Then head to Royal Crescent, a row of 30 terraced houses laid out in a sweeping crescent designed by John Wood the Younger and built between 1767 and 1774, which is considered one of the best examples of Georgian architecture in the UK. Although most of the buildings are now exclusive apartments, Number One Royal Crescent has been refurbished and redecorated in Georgian style and is open to the public. Stuffed full of beautiful antiques and paintings, with costumed staff on hand to describe the life of the original homeowners, this is a fantastic place to learn an in depth history of the day to day life of a Georgian – right down to the servants’ quarters. Bath is the perfect destination for Austen fans. The city is mentioned in all her books and provides the setting for a large chunk of both Persuasion and Northanger Abbey – and it’s interesting just to spot the familiar street names from the books. Austen herself spent a few years living in Bath until her father’s death, and it’s also possible to visit the houses she lived in. But the highlight for literary geeks is a trip to the Jane Austen Centre on Gay Street, where you can explore the gallery after an interesting Austen biography from the costumed staff, take tea in the Regency Tea Rooms, and shop for novels and I ♥ Darcy bags in the gift shop. Literature fans might already be familiar with the Assembly Rooms in Bath, which were frequented by Jane Austen and Charles Dickens in their time, and are mentioned in works by both authors. 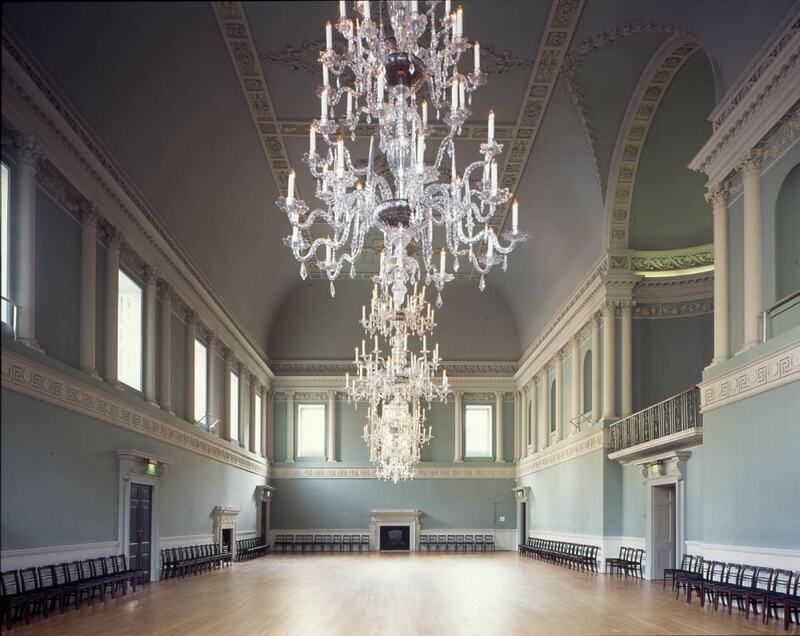 The Assembly Rooms, which can now be visited as part of the Fashion Museum in Bath, were built in the 18th century as a set of public rooms for entertainment, and include a ballroom, tea room and card room. Concerts were popular in the Tea Room, and the most prestigious musicians to have played there include Joseph Haydn, Johann Strauss the Elder and Franz Liszt. This beautiful and historic abbey, which has it’s roots in an Anglo-Saxon monastery, has undergone many changes since 757 AD, right up to the 1800’s when it was transformed into the building we see today. The Abbey Tower, an iconic site which can be spotted from all over Bath, can be visited on a guided tour (£6) for stunning views of the city. With beautiful architecture, fascinating history, uplifting worship and wonderful choral music, Bath Abbey is well worth a visit. Probably the best spa I’ve ever visited, the Thermae Bath Spa is simply incredible. 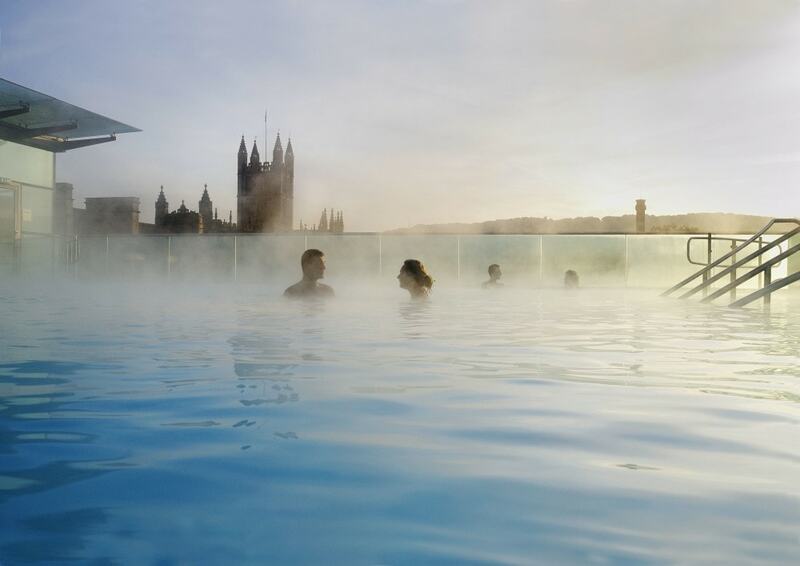 From the gorgeous Minerva Pool, with it’s lazy river and massage jets, to the relaxing atmosphere of the Aroma Steam Rooms, to the incredible rooftop pool with panoramic city views, a few hours at Thermae is a heavenly experience. And that’s not to mention the treatments, which are first class. Read my review to find out more about my experiences. Just twenty minutes drive from the city centre, surrounded by picturesque countryside, is The Spa at Homewood Park, a beautiful spa offering fabulous Elemis treatments. Homewood Park itself is a grand hotel in a beautiful Georgian country house, and the spa includes a heated pool in the centre of the pretty gardens. Read this review about my experience at the spa. Bath is without doubt the best city I’ve ever seen for tea, coffee and cake. If you need a break, or want to indulge in true British fashion, there’s no shortage of tea houses to choose from. Or splurge on afternoon tea for the ultimate indulgent experience. Here are a few of the best coffee and tea shops to visit. 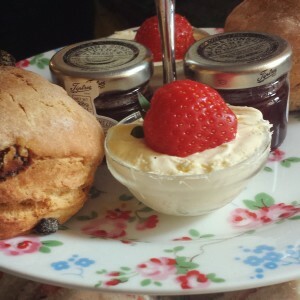 Check out my post on the best afternoon tea in Bath for more great recommendations! Collona and Smalls, the shop for serious coffee lovers. The Bath Bun; a cosy, vintage style tea-room with yummy afternoon teas. Regency Tea Rooms at the Jane Austen Centre. Embrace your inner Lizzie Bennet and take tea in an opulent Georgian dining room. Surely the most luxurious way to see Bath is to linger above the city in a gently drifting hot air balloon. Champagne in hand, indulge your senses with a breathtaking new perspective and stunning views. If you’d rather not take to the skies yourself, there’s always the Bath Hot-Air Balloon Festival held in mid-May at the Royal Victoria Park. If you prefer your history lessons a little more fun, why not join in the daily Bizarre Bath Comedy Walk, which starts at 8pm every evening (between April 1st and November 1st) at the Huntsman Inn. At just £8 per adult, this is a great value tour which is not only extremely entertaining, but also different every night. The wooded hillsides overlooking the city offer a lot more than stunning views of Bath, although the Skyline is worth a visit just for those. With over 6 miles of footpaths, visitors can discover hidden valleys and beech woodlands, rich wildlife, an Iron Age Fort on Little Solsbury Hill, and Sham Castle, an eighteenth century folly commissioned by Ralph Allen to improve the view from his townhouse. Bath is ideally placed to visit nearby Longleat Safari and Adventure Park. The first drive-through safari park outside Africa, Longleat now has over 20 fabulous attractions, including the gorgeous Longleat House, which was built in 1568 and is filled with beautiful antiques and fascinating information. Beyond the safari, there’s the huge Adventure Castle playground, an enormous hedge maze and Gorilla Island, plus much more. Birthplace of Britain’s favourite cheese, Cheddar is equally famous for having the UK’s largest natural Gorge and two beautiful stalactite caverns. Don’t miss the traditional sweetshop to see boiled sweets being hand made (and try free samples), the hair-raising open-top bus ride through the gorge, a visit to the caves, and cheese tasting at one of the many local shops. Just 20 miles from Bath are the attractions at Wookey Hole, another spectacular series of caves and home of the Witch of Wookey, who was turned to stone hundreds of years ago according to local ledgend. Attractions here are aimed more at children, including things like the Extravagent Light Show, Valley of the Dinosaurs, and a Fairy Garden. Duck Liver, poached and roasted, cranberry, shiitake mushrooms, candied walnuts and orange. At The Olive Tree, Bath. Bath is full of incredible restaurants, coffee shops, boutique English tea rooms and British pubs, so it’s hard not to have a good meal here. Head to Sally Lunn’s to explore the oldest building in Bath, visit the museum for just 30p, and sample the famous Sally Lunn Bath Bunn – a favourite of Bath’s famous citizen, Jane Austen. Just around the corner at The Bath Bun, you can sample the bun’s rival, the traditional Bath Bun, alongside delicious Afternoon Teas. To find out more about the best places to get tea, coffee and cake, check out my post on Tea in Bath. For the best cocktails in town, one local recommended Sub 13. It’s a basement bar with a pretty garden and 2-for-1 cocktails. I also loved the Old Q Bar at the Queensberry Hotel. We had our best meal at The Olive Tree, a gorgeous restaurant serving up Michelin star inspired food at reasonable prices. Try the venison, it’s incredible – and don’t skip dessert! Read my review for more information. Acorn, a vegetarian restaurant tucked into the cobbled alleyways behind the abbey, is another eatery recommended to us by a local, for it’s delicious and inventive veggie menu featuring dishes like truffled broccoli. Menu Gordon Jones is a tiny restaurant with a unique no-menu concept, while Opium, The Circus and The Firehouse are all Bath favourites. For the best Sunday roast in town head to Garricks Head, or out into the country to The Wheatsheaf at Combe Hay, which has fabulous gardens and views. housed in a gorgeous Georgian townhouse. It’s ideally located in the centre of town, just a few minute’s from Gay Street and the Assembly Rooms, and it’s exquisitely luxurious. Check out my review of the Queensberry to learn more. For blissful luxury in a quiet location about twenty minute’s drive from town, head to the simply stunning Homewood Park Hotel and Spa near Freshford. The spa is amazing and the hotel itself, an ivy-clad Georgian country manor set in beautifully landscaped grounds, is sumptuously indulgent. Read my review of Homewood for more information and pictures. The gorgeous Hilton Bath Spa is one of the best hotels in Bath, located in the heart of the city on the River Avon, and has all the luxury and high end service you’d expect from the familiar brand. The stunning 5-star Royal Crescent Hotel is one of the most expensive hotels in town, but it’s worth it to stay in one of Bath’s most iconic architectural sites. A beautiful Georgian building housing 45 individually decorated rooms, a full-service spa, and all the elegance you’d expect from such a royal setting. The cheapest place in town is the Bath Backpackers. It’s a funky looking hostel in the city centre, and starts at around £12 a night for a dorm room bed. Alternatively, I’ve stayed at the YHA Bath before and loved it. Housed in an old mansion just outside the city centre, it’s a really nice space for relaxing. And so cheap! Thanks for the great article- have always been intrigued with Bath and now I know what to see when I get there! Thank you – I hope it helps! Bath is so beautiful I whole heartedly recommend it! Ooh gorgeous. Had the most tantalizing glimpse of Bath a couple of months ago, but this whole deal is what’s going on my list! Thank you :) Bath is so gorgeous, and there are so many good ways to treat yourself! Brilliant place for a holiday!